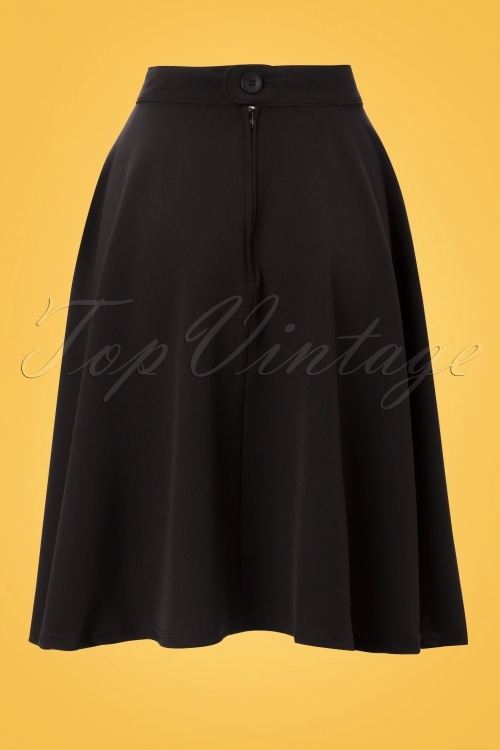 The 50s High Waisted Thrills Skirt black swing from Steady Clothing. 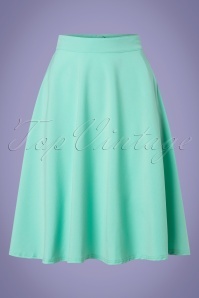 Go retro with this darling high waisted "Thrills" skirt. 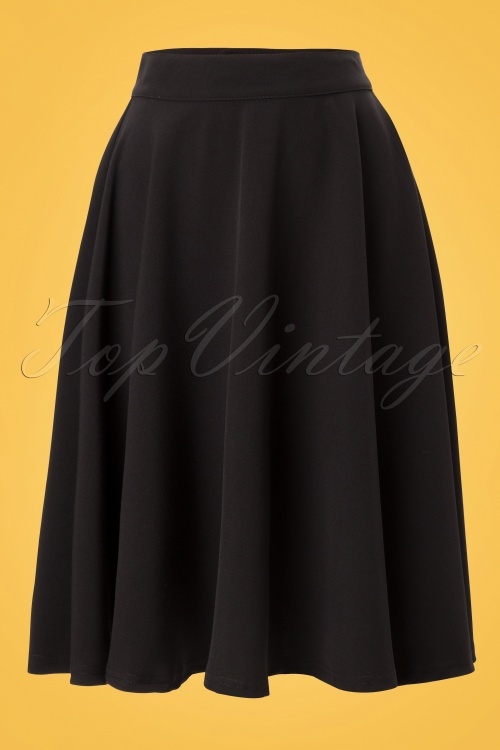 A very versatile fifties inspired shape and cut, it is made of a smooth black stretch fabric with a lovely drape and features a full skirt that is perfect for dancing - it will flare out as you spin. Our stunning redhead Miss Victory Violet height: 1.70m / 5'7''. 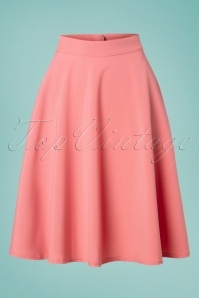 This classic pin-up inspired styling is a must-have basic!